Postcodes are by far the most popular location reference for business purposes. However, the definition of postcode boundaries tend to be ambiguous due to the various methodologies applied during creation and because there are many versions of the data in circulation at any particular point in time. 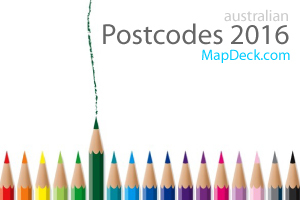 In order to address some of that ambiguity, MapDeck has recently released the 2016 version of Australian postcode boundaries generated from open source information according to the rules defined by the Australia Post (which, theoretically, the organisation itself follows in defining the postcodes but in practice, it may not always be the case). The dataset is available for free perusal with MapDeck apps or can be downloaded in GIS format for a small fee. Now there is also a free interactive map provided by MapDeck that presents the latest 2016 postcode boundaries on a base map with detailed road network and topographic features (sourced from the Open Street Map data). For reference, we have also included Postal Areas 2011 boundaries (postcodes equivalent from the Australian Bureau of Statistics, created for use with 2011 Census data) and a Victoria-only version of postcodes published by the Victorian Department of Environment, Land, Water and Planning in April 2016. However, MapDeck is all about personalising maps and spatial analysis, so users are not limited only to this map to view and interact with postcode boundaries. In fact, anyone can “roll their own” map, according to individual preferences, using the free Thematic Mapper Basic app. The app allows you to create interactive maps with a myriad of base map layers as well as other contextual information catalogued in MapDeck and available for immediate use. Users who have the full version of Thematic Mapper can save personal copies of the map. That is, either edit the original map by adding or changing the base map layers and other data, or create a new one from scratch, then save the version as their own copy. These maps can be shared with other users as well. All in all, the map presented today is just an appetizer to demonstrate our latest postcode boundaries in the context of other spatially referenced information but also to inspire you to explore MapDeck functionality and personalise available content to your individual requirements. 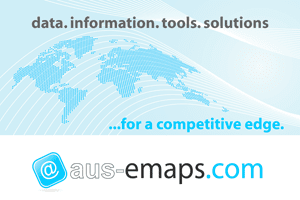 Contact our Australian support team on info@aus-emaps.com for an invite code to join MapDeck. Help needed in cataloguing maps and web services!